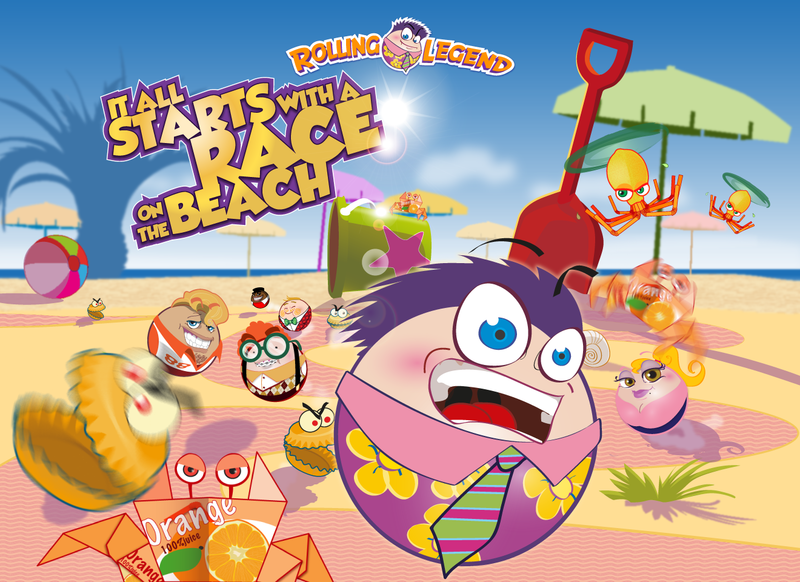 Get ready to embark in the most epic of undertakings when something terrible will befall on the beach... Save your little friends Donut, Sheldos, Sven and many others, and take care of the baddies who stand before your way! Johnny Marble is ready to rock out in Rollywood! + Meet Johnny Marble. The most charismatic character ever is now in your hands (despite not having even the legs). Make it run, jump and roll, the important thing is to not stop! + Jump to Rollywood! 5 full Retina display, completely hand-drawn toon like worlds, and dedicated to some of the biggest blockbuster films, await you, and many more to come! + Warm the speakers. The original fast-paced soundtrack of Rolling Legend will literally blow up the sound barrier of your smartphone. Forget those unnerving piece of music from peanuts, our rock is second only to our roll. + Epic boss battles. How many times have you read this sentence ?! Well, our boss will certainly not be "epic", but they are certainly the most weird and funny that you have ever seen. Get ready to fight the fluffy MARBLROG or to survive the grotesque AVALANCHE. + Do you feel skilled photographers ?! Take part in our mini-game, take a photo of our game starring Johnny Marble, post it on your favorite social networks and gain fame, glory and of course free Shiny. The more sensational the photo the more Shiny you will earn! To promote ROLLING LEGEND - Episode 1 and grow its popularity (top games), use the embed code provided on your homepage, blog, forums and elsewhere you desire. Or try our widget.